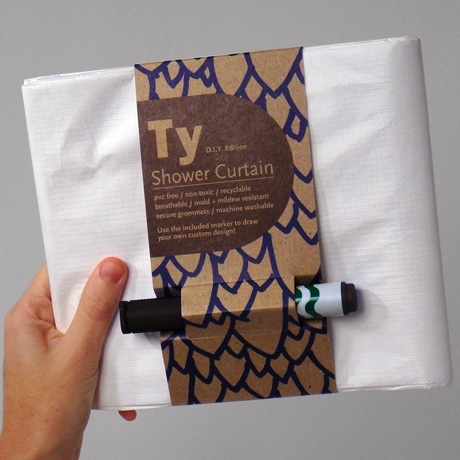 wouldn’t a standard, white, pvc free, mildew resistant shower curtain and a sharpie you most likely already own accomplish this and save you around $20. For some reason this makes me SO excited. that’s a good idea – i think each member of the family would have to have their own corner though! why only one black marker? this is the full idea but only 1/8 potential of execution. The stole our idea! We did this a while ago for our flat! 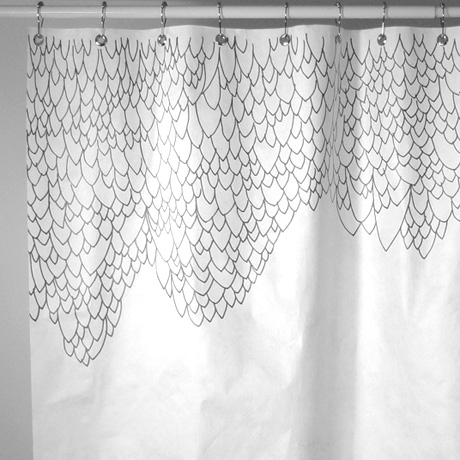 This is an awesome idea….yes, you could do it yourself with pvc free shower curtain and a sharpie, but there is something really cache in the idea of buying the design concept….it seems less fun when you have to go through all the work yourself. Plus, the packaging is cool and that alone makes me want to to buy it because I love paper products and packaging design. Great place for marking off your name on the bathroom cleaning rota! Thanks Tina for sharing this beautiful designs. You have quality products and fascinating trends. It’s very creative and classical. I want to have one. So there is no longer any excuse for forgetting any great ideas that I have in the shower. What a marvelous, inspired idea. What? You draw on the outside? Oh, bum. Great ideal and a great home warming gift ideal for my sister who just bought a home. Thanks for sharing! John – your version rocks! 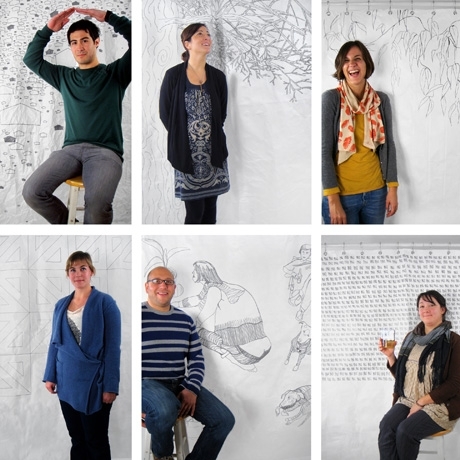 This is great – now, if only I had some artistic talent! This is fabulous!!!! I have never heard about it. hi dear, you have done good blog. …. That’s awesome. You can really personalize your bathroom that way. Do you think it would work with this type of shower curtain? Those are some awesome shower curtains! I would love to get something like that for my shower, but I have glass doors on mine.